This morning is a wee fruit fondue (of sorts). In the centre is low-fat, natural yogurt. 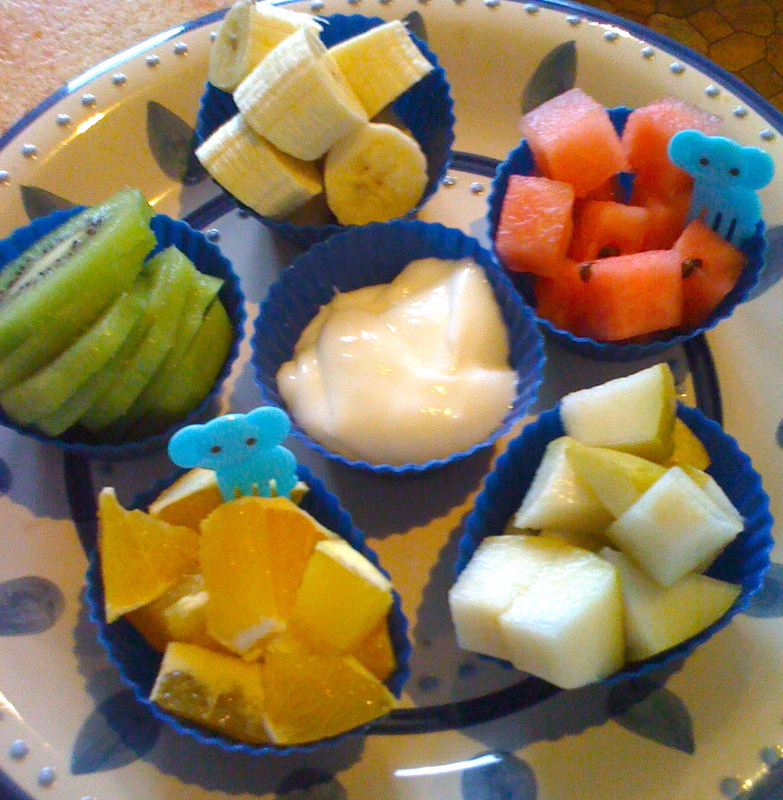 In the other muffin cups are diced orange, pear, watermelon and sliced kiwifruit and banana. A meal filled with dipping would make JDaniel's day. yum, yum, yum! it looks so delicious! my kids would love that! Your fruit looks so yummy and refreshing. I am now craving some! Happy MTM! Great idea. My boys would enjoy this.